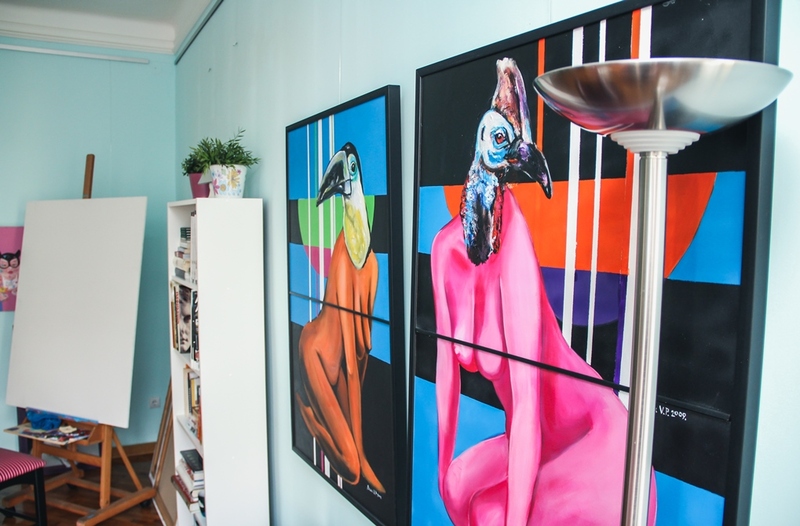 Belgrade Art Studio brings its quirky formula of contemporary art and a warm, homey ambience to the Serbian capital. The studio opened during 2011 in a 19th-century listed building in Belgrade’s historic neighborhood of Dorćol. It provides artists with an environment to take themselves out of their daily routines, find new inspiration, conduct research and create new work. 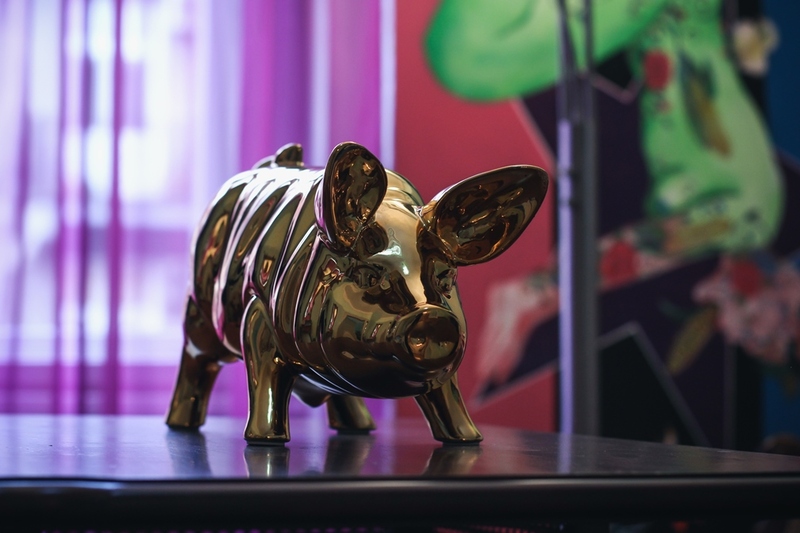 The space was renovated over the course of a whole year and decorated by its young founder, artist Baxx Vladimir. 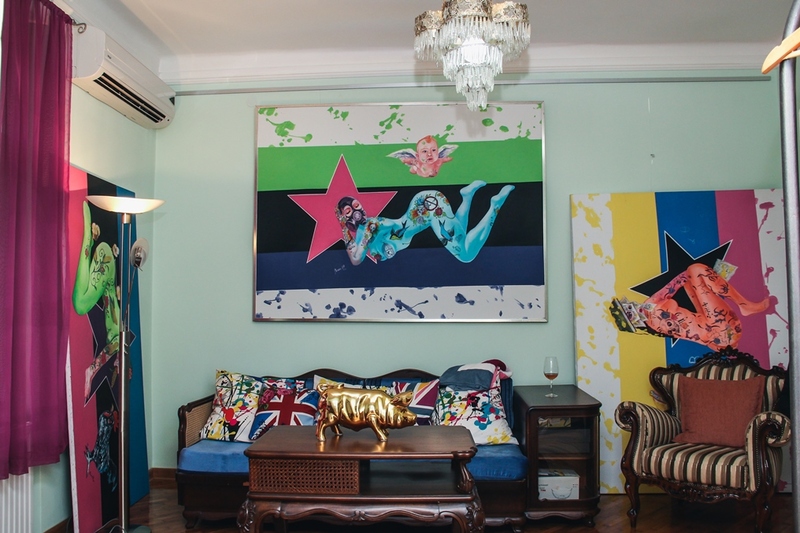 Following an ‘‘eclectic luxury’’ approach that combines vintage design with contemporary art, Baxx have filled the space with original art and vintage objects sourced in galleries and antique shops across Serbia and Europe. The result is a very personal, inviting space that skillfully mixes contrasting elements with surprising results. 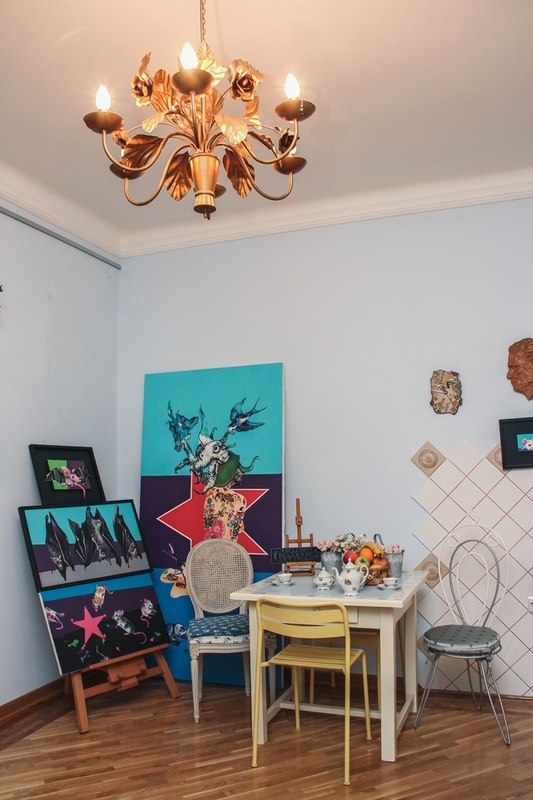 Why do artists from around the world leave their studios behind to come to Belgrade art studio? Serenity. Light. Space. Privacy. The ability to work uninterrupted for hours, days, weeks in a quiet studio. These are just a few of the reasons why so many world’s visual artists, curators, writers come to Belgrade Art Studio each year. Typically, our artists find they accomplish more in a matter of weeks at Belgrade Art Studio than they can in a year at home. It’s all about the work – art. Complimentary pick-up and drop-off for arrival and departure, Nikola Tesla Airport (20 min away) or Belgrade bus/train station (10 min away) Please provide advance notice. If extensive transportation is needed as part of a project, this will be negotiated. 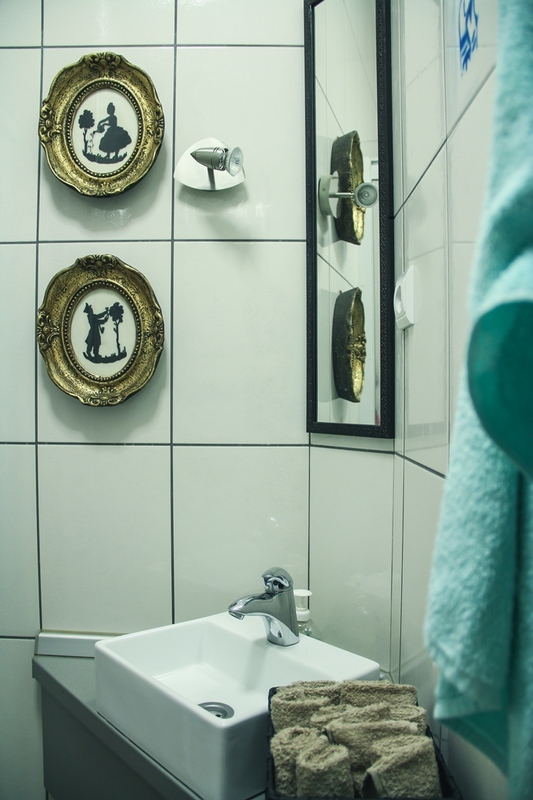 Residency in a fully furnished apartment, in Dorcol historic building, built in 1921-23. A private air-conditioned living/work space which is unique and has character. (approximately 80 square meters. It has 4.20 m high ceilings, large windows in two directions and a beautiful floor plan). A sense of history, with the pieces of furniture from 1920s and original wooden floor, windows and doors. A sense of uniqueness – Dorćol is known as the central neighborhood of Belgrade. This is the neighborhood where things happen and in the same time represents the oldest and the most prominent part of the city. 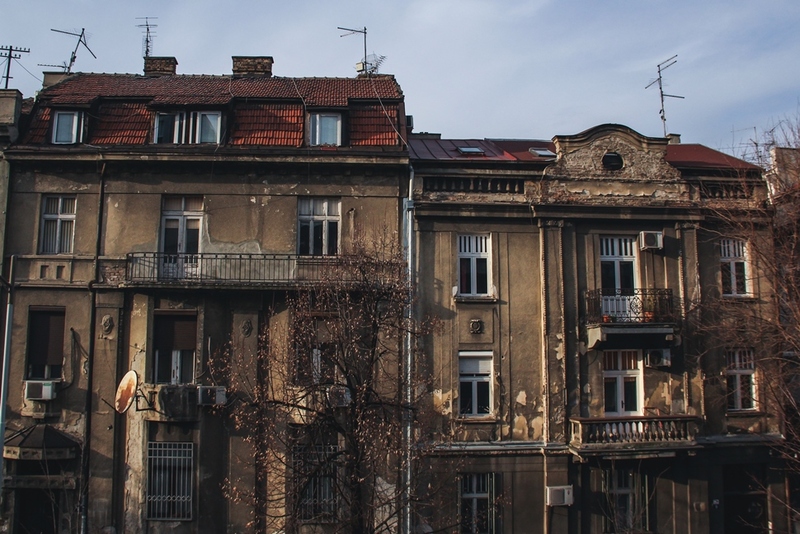 Living in Dorćol has its charms, it could be like living in Kreuzberg in Berlin or Manhattan in NYC. Private Belgrade City tour on request. Additional tours on request check Belgrade Art Tours. A studio representative always on hand to help out. A fully functional Kitchen for the self-catering of residents, Dining/sitting room. Weekly trips to grocery store arranged. Full linen, including bedding, blankets, bathroom towels, kitchen tea towels. Laundry services available (not included). Complimentary access to High speed wireless internet throughout all studio. 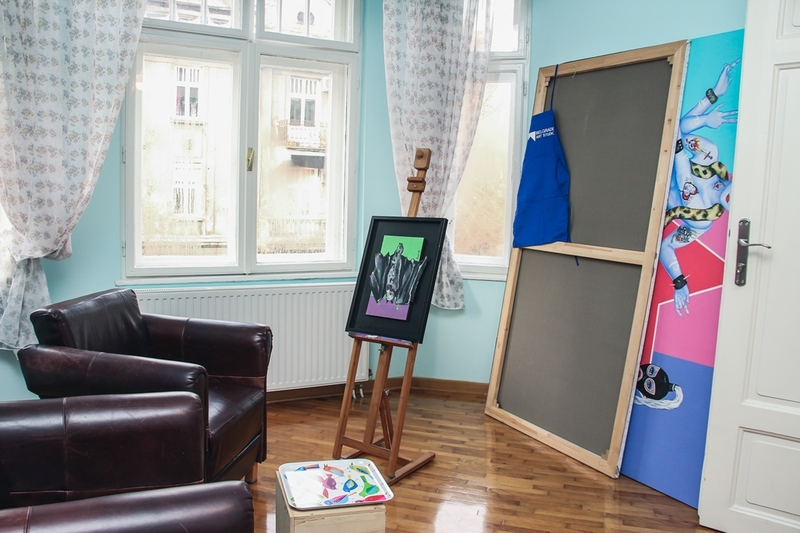 A private studio is equipped with easels, stool, ample wall space, and both natural and artificial lighting. Each resident is responsible for their own personal tools and materials. 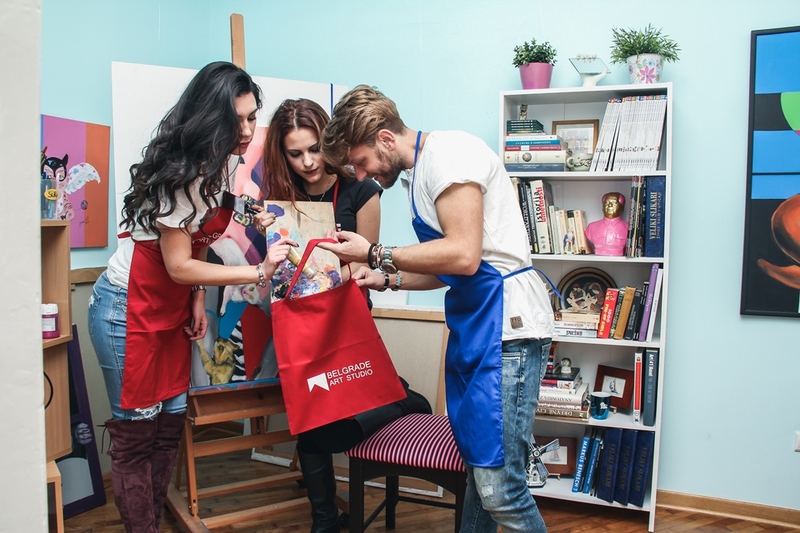 We can offers oil and acrylic paints, oil sticks, solvents, finer brushes, canvas, paper, and a multitude of other painting and drawing materials at competitive prices from local art supply stores. 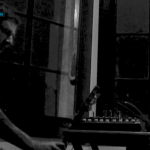 Contact coordinator@belgradeartstudio.com if you have specific studio needs/requests in advance of your arrival. 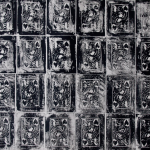 Exhibition opportunities/artist talk/studio visits. We respect that not all artists will want to host studio visits and/or show what they have produced therefore this is handled on an individual basis. If you have specific requests please feel free to include them in your applications. We work closely with many local curators, artists, gallery owners and collectors so this opportunity is limited by time available and might include additional costs. We will do all we can to fulfill your requests and goals while here.